2018-2019 Theme: Practicing the Kindness of Jesus! As we begin our 23rd year of Kingdom education ministry, our school theme is “Practicing the Kindness of Jesus.” You might ask, “What is true kindness?” True kindness is demonstrating the love of Christ by giving our time, talents, and treasures in service to Him and others. Examples of true kindness are where someone through giving returns good for evil, gives honor to whom honor is due, brings joy out of sorrow, and/or shows the worth of a person. We live in a world gone wild and we need to “Tell the Story” of Jesus by “Practicing the Presence of Jesus” in our words and deeds. As believers, we are image-bearers of the King of Kings and Lord of Lords. What better way to bear His image than to practice the kindness of Jesus! Kingdom education at NRCA is a life-long, Bible-based, Christ-centered process of bringing children to Christ, building them up in Christ, and equipping them to serve Christ so they can reach the next generation. May they see the kindness of Jesus as we give for His glory! We are officially kicking off the 23rd Legacy Annual Fund for 2018-2019. There are three components to the Legacy Annual Fund: (1) the Legacy Annual Fund Drive throughout the school year, (2) the Boosterthon April 8-18, 2019 and (3) the Golf and Tennis Classic, May 6, 2019. This is an opportunity to give the gift of Kingdom education, a gift that impacts eternity. The generous support of our school family, grandparents, and friends allows us to fund many wonderful resources beyond the general budget. Most recently, we had the official ribbon cutting of not just our new Fitness Center I, but also the newly renovated Fitness Center 2. Both were done debt-free. Other resources made possible through the years by the Annual Fund are a Fine Arts Center grand piano, greenhouse, charter bus, tuition assistance, SmartBoards for the elementary, iPads K-12, school buses, canopies for the elementary playgrounds and outdoor sports venues, and other building programs to name a few. As for this past year’s giving, projects included a state-of-the-art Robotics Lab for middle school/high school, an elementary STEM lab, funding for the future Tennis Complex, tuition assistance, replacement funds for PreK through 3rdgrade iPads, funding for a future Charter Bus, Diversity Scholarships, Booster Club, and the Founder Day’s Celebration. This year’s Founder’s Day Celebration, August 25, 2018, will not only include the elementary blow-ups, petting zoo, and rock climbing walls from 2:30-5:30 p.m., but we will have a Praise and Worship Family Concert in the Fine Arts Center at 6:00 p.m. with the Hall Sisters and the Jamison Band. To God be the Glory, great things He has done! While we will continue to support the tuition assistance program, Booster Club, bus funds, elementary technology, and the Founder’s Day Celebration annually with these funds; this year’s primary focus is in raising the funds necessary to replace our current Tennis Complex. 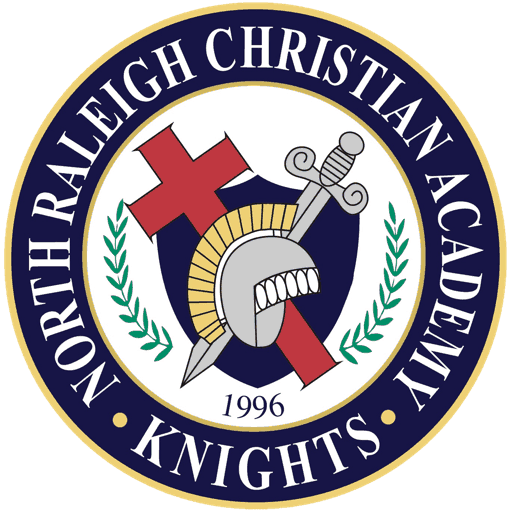 May God touch your hearts to give the gift of Kingdom education as it impacts the future of North Raleigh Christian Academy. By keeping tuition affordable. Giving has allowed us to keep increases at 2% on average. By helping us build an elementary playground with a rubberized surface and two wonderful $25,000 play structures that will accommodate 80 students. We are praying for two donors to purchase these structures for our children. By completing the funds necessary for a new Charter Bus that benefits all our students. By providing tuition assistance and diversity scholarships so Kingdom education is available to all God’s children. By assisting with the long-needed renovation of the Tennis Complex with a Mondo hard-court playing surface. By continuing the Founder’s Day Celebration and Concert that brings the school family together for a time of praise, thanksgiving, and fellowship. By making possible other gifting opportunities as they are developed.